This selection is designed to satisfy the curiosity of people interested in the plant and machinery they commonly see as they travel around the UK. 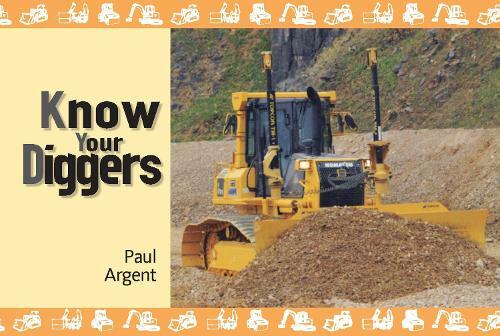 Paul Argent's selection includes diggers, excavators, backhoes, rollers, cranes, demolition machines, loaders, dumpers and a road planer. The author shows products from most of the major manufacturers such as JCB, Caterpillar, Volvo, Case, Komatsu, Hitachi, Kubota and Liebherr. Each of the examples is seen at work in a full-page photograph. Paul's accompanying text gives details of the class of machine represented, the work for which it is suitable and some technical specifications. The range of machinery is wide, offering novice enthusiasts a chance to get to grips with many different types, a springboard to a deepening interest in the plant and machinery at work every day in Britain.